With a day off from work I drove out to Elmswell to pick up some chicken layer pellets from the good pet shop next to the railway station and did a detour on the way home to the village of Gt Ashfield. There is a straight north road leading from Elmswell and I parked up near by All Saints Church in Gt Ashfield. 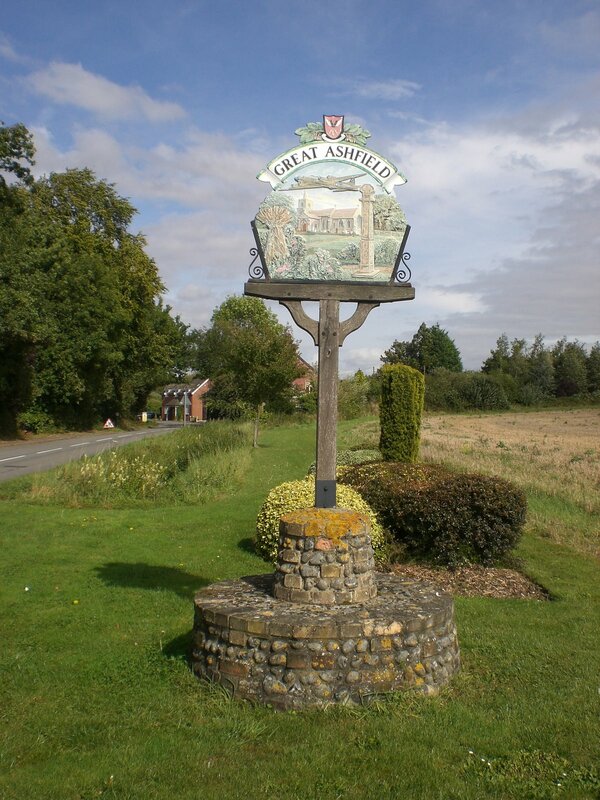 Gt Ashfield was the home of the 385th bomb group during the 2nd world war and this is represented in the village sign. This is USAF group completed a total of 297 combat missions over France and Germany. The first combat mission took place on June 11, 1943 – and the final mission took place on May 2, 1945. The average life of a B-17 bomber at Great Ashfield was just over 4 months. The average Airman lasted 15 combat missions and few completed an entire tour of 25 missions. Life must have been fairly tame in between missions for the airmen with little to do. Perhaps this was just what some of the airmen needed in between flights though a train into London from Stowmarket must have been tempting. My run began by following the path near the church to a moat at Hall farm. 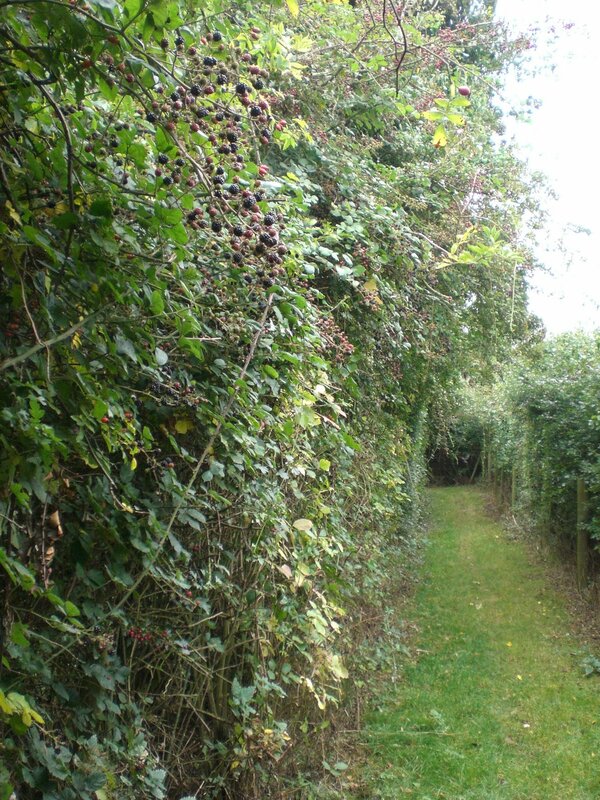 There were plentiful supplies of blackberries in the hedgerows and this is the time to pick them. 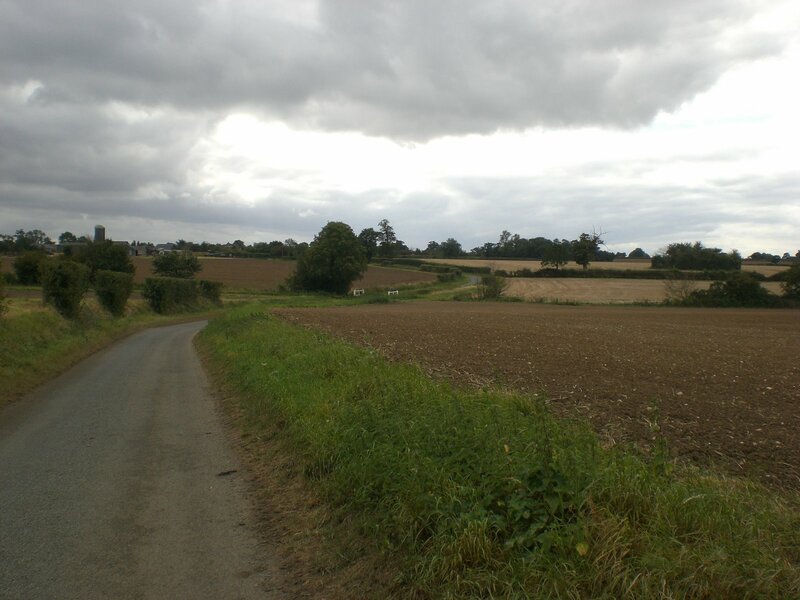 The path followed a circular route to Brown’s Wood and Schoolhouse Farm. I followed the path blindly hoping I was heading in the direction of Badwell Ash but it is only now that I see I was running in the opposite direction! Emerging back on the Elmswell Road I decided to take the next turning that presented it self to anywhere so as to get of the main road. This was a sharp right and in due course I found myself in Norton Little Green which is a little hamlet about half a mile from the main village of Norton. 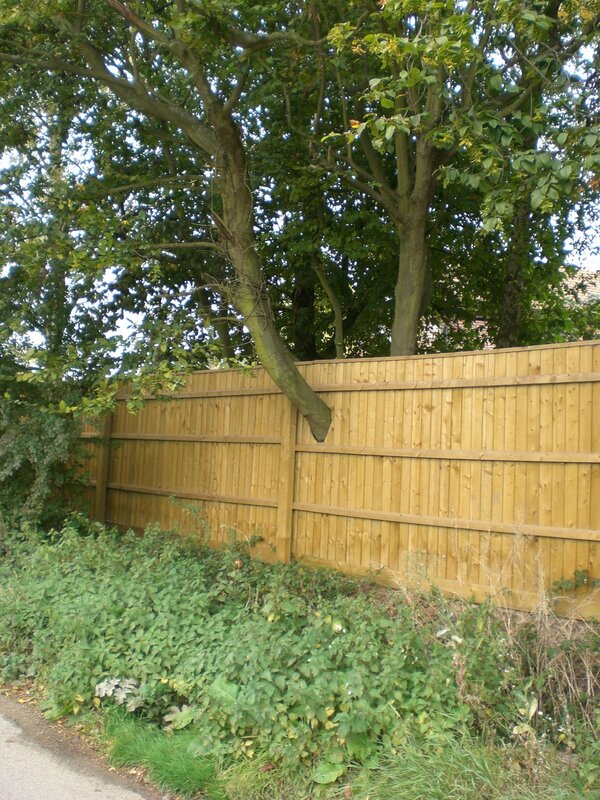 Here I spotted this fence which has accommodated a tree branch through one of its panels. I again did a u-turn as my plan hadn’t been to visit places I have been before so I retraced my steps and took a minor road which lead to Hunston Green. 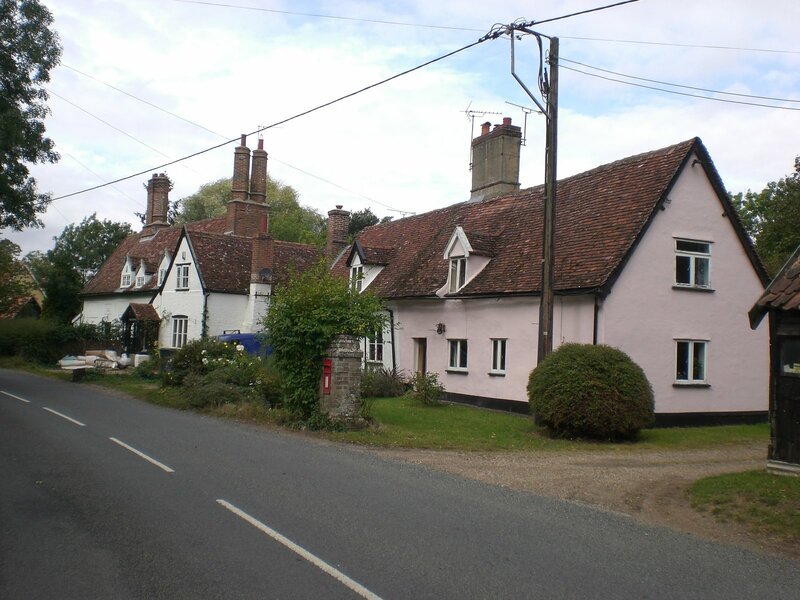 After a very quiet mile or so along the road I arrived in the village of Hunston. I last visited Hunston on my birthday last year on the 18th of October when for a treat I ran 11 miles! 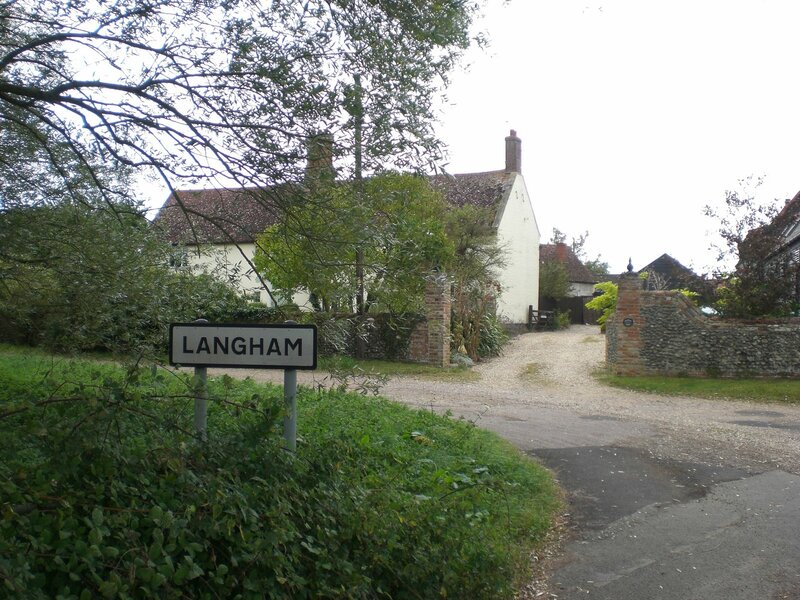 Just off the main road through the Hunston there is a turning leading into another village I haven’t been to before called Langham. The meaning of the name is long settlement and I didn’t have time to really get into the village or visit the church so another visit will be required. First impressions were good and I can see a return trip to include Badwell Ash. Instead not realising it would be quicker to return to Gt Ashfield via Badwell Ash I returned the way I came.